Valve Trains | Metro Services Inc.
Metro Services, Incorporated (MSI) fabricates valve trains for most fluids (such as natural gas, LP, air, oxygen, etc) on all types of applications. Standard valve trains are built in accordance NFPA standards but can be modified to meet the standards of many other governing agencies. 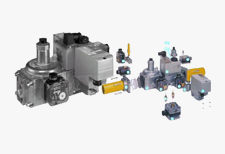 The valve trains can be shipped prepiped, prewired, skid mounted or in sections to satisfy all types of installation requirements. 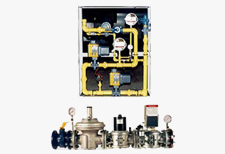 The DUNGS Modular Gas Safety System The modular gas safety system reduces piping costs and space requirements. 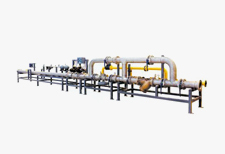 Each oxygen valve train is fabricated specific to the customers requirements in accordance to NFPA and local requirements.